Cuckoo clocks have been around since the 17th century, a time when the villages of the Black Forest of Germany were filled with clock makers. 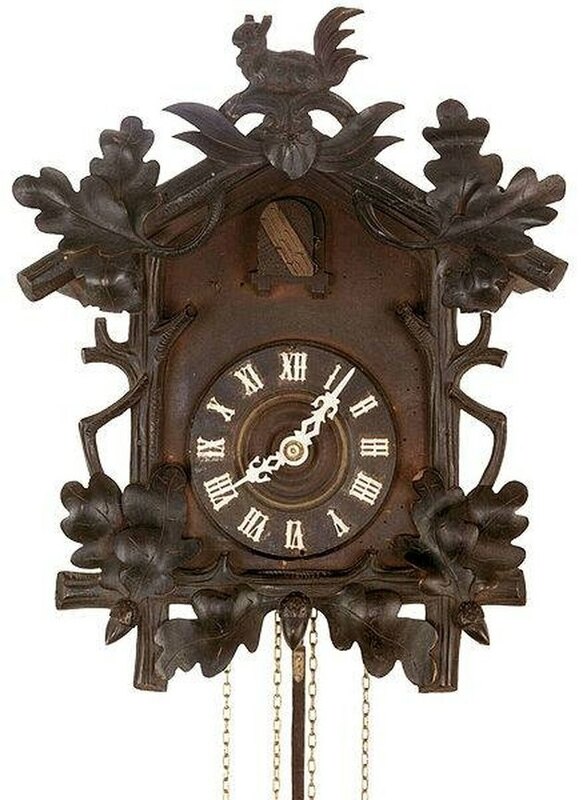 Today, cuckoo clocks are made all over the world, using the same techniques the German clock makers used in the past. Hanging a cuckoo clock requires special care, as they have intricate inner workings, weights and pendulums to consider. Choose a spot on a wall that's far from any heating source, moisture or cold. A kitchen wouldn't be a good place for a cuckoo clock. Find a wall stud and mark a spot about 6 and 1/2 feet high, with a tiny "X." The mark should be at a height that will allow the weights to move freely below the clock. See "Resources" below for a simple method of finding wall studs. Insert a #8 or #10 screw into the wall stud at a 45 degree angle. Make sure the screw is secure before hanging your cuckoo clock. Do not loosen it in the process, but apply a bit of pressure. It should not move even slightly. Hang your cuckoo clock. Open the door if there's a latch on the front, pull on the weights to start the timing mechanism (also follow your manufacturer's instructions for this), and give the pendulum a gentle swing to start your clock's ticking.